Guneet Monga took to Twitter and announced that she will be collaborating with a top star down south. Guneet Monga, who won the Oscars this year for her Indian short film Period. End of Sentence, and made us proud has now headed south to direct a movie. Taking to Twitter on Sunday, Monga announced that she will be collaborating with a top star down south. Monga has been signed for Tamil star Suriya Sivakumar's next, which will be helmed by Saala Khadoos director Sudha Kongara. 2D Entertainment will bankroll this yet-to-be-titled project and for now, it is being referred to as #Suriya38. 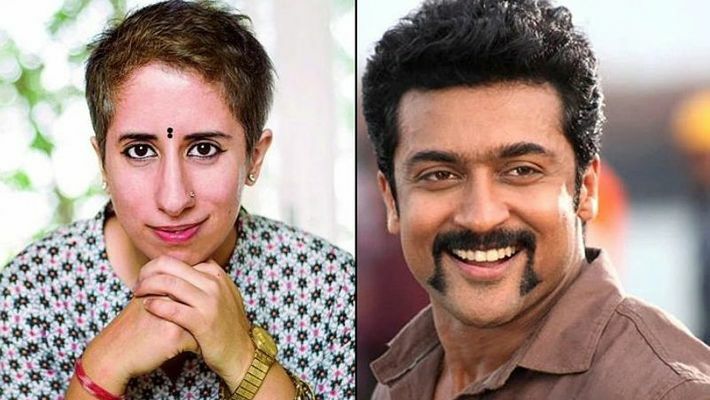 This is the first time Suriya is collaborating with Sudha Kongara. Monga tweeted, "Thank you so much Such an honour to collaborate with @Suriya_offl @rajsekarpandian this is the start of many between @2D_ENTPVTLTD and @sikhyaent here we go.. @aachinjain." Suriya's fans were obviously delighted at the fact that an Oscar-winning filmmaker will be collaborating with the star. Netizens wished Guneet and were thrilled to know that she will soon be associated with the Tamil film industry. The film will be based on the inspiring real-life story of GR Gopinath. The shoot for the film is expected to begin soon after Suriya wraps up KV Anand’s Kaappaan. Gopinath was the founder of Air Deccan, India's first budget airline, which made flying easier for thousands of people. Though the movie will not be a biopic on the life of the entrepreneur, it will be based on the interesting incidents in his journey.